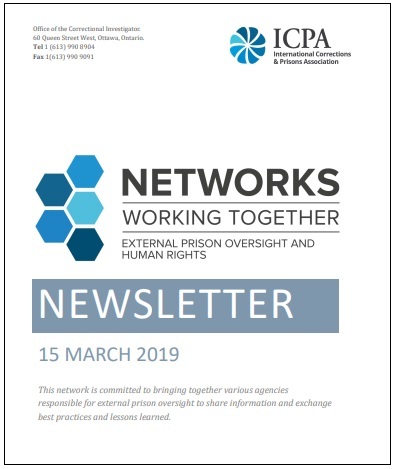 With its focus on solitary confinement, the second newsletter of the ICPA Network on External Prison Oversight & Human Rights brings to the forefront an extremely topical human rights discussion in Canada. The recent high-profile release from a provincial Ontario prison of Adam Capay, after spending some four-and-a-half years in solitary confinement, aptly illustrates how problematic this questionable human rights practice has become in the Canadian context. As highlighted on this website in October 2018, the International Corrections and Prisons Association (ICPA) Network was launched during the organization’s 2018 Annual Conference in Montreal, Quebec. The Canada OPCAT Project shortly thereafter featured the inaugural newsletter in an article with its focus on Canada, including on the OPCAT. Cell Number 5 by Allissa Richardson (2011). The latter highlighted point rings especially true in the Canadian context at a time when Bill C-83 is being discussed, which – critics have argued – seeks to essentially re-frame the use of solitary confinement in the country without abolishing the practice. Solitary Confinement by garshna (2013). Taken together, these three impressive contributions underscore the pressing need for reform in relation to the harmful global practice of solitary confinement. In addition to the above three lead articles, newsletter no. 2 helpfully includes a bibliography of useful documents and resources on the topic under its Selected Academic Articles and New Publications sections. View finder on solitary confinement door by Tulio Bertorini (2005). The latter section of newsletter no. 2 is devoted to the featured country jurisdiction of Australia. Whereas newsletter no. 1 focused on Canada as a jurisdiction, the current publication takes in Australia, with a very strong slant on the OPCAT as well as other forms of oversight of deprivation of liberty in the country. As a country which ratified the OPCAT in December 2017 and which is currently in the process of instituting an NPM, there are unquestionably various important lessons for the equivalent national OPCAT discussion in Canada. As such, this section of the Network newsletter will be discussed in detail in a separate, forthcoming Canada OPCAT Project article. In sum, however, the ICPA Network on External Prison Oversight & Human Rights has succeeded in producing another highly thought-provoking human rights read with a prison focus. Readers are encouraged to explore its 55-pages and perhaps even consider the merits of joining this expanding expert cluster, now boasting some 65 members from 20 countries. If the humanization of deprivation of liberty is a cause close to your heart, then this ICPA Network may well be for you. Read the current ICPA Network newsletter. Read the follow-up post about the newsletter’s focus on OPCAT implementation in Australia. Read ICPA Network newsletter No. 1. Visit the Network’s webpage and see who is a member. Make a request to join the Network by contacting Canadian Correctional Investigator, Ivan Zinger. Visit Sharon Shalev’s Solitary Confinement resource website. 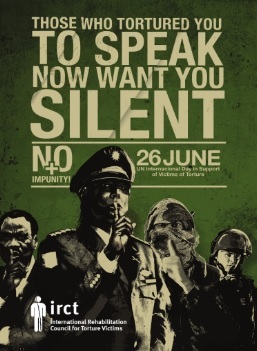 Read more about the UN Nelson Mandela Rules and see the related UNODC posters. Read the new reports by the Manitoba Ombudsman and Manitoba Advocate for Children and Youth on the findings of a joint investigation into the use of pepper spray and solitary confinement in youth correctional facilities in the province.